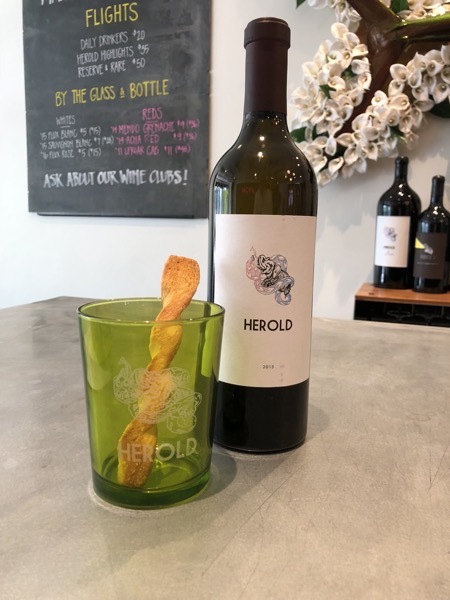 On a hot Sunday afternoon I stepped into Mark Herold Wines’ tasting room in Downtown Napa, a block from Oxbow Market. Mark Herold is an alumni of UC Davis but not from that University’s famed wine courses; he has a Ph.D in Ecology. His first role in the wine world was in a research role at Joseph Phelps. In 1998 he launched the Merus label from his garage. The label was sold to Foley in 2007. Mark is now the winemaker for several boutique wineries, including Kamen, as well as making his own wines; which are available in this tasting room. My first taste was of the 2014 Flux Grenache, made with fruit from Mendocino. The medium intensity nose offered aromas of ripe cherry. Taking a taste I encountered a lot of fruit, with very subtle tannins, that made the wine feel almost sweet. The wine sells for $45. Next up was the 2014 GSM ($24). The blend is 76% Grenache, 15% Mourvèdre 9% Syrah. There was a low intensity nose of cherry and leather. The light to medium bodied wine had silky, assertive tannins; with that same fruity sweetness that the Flux Grenache had offered, but less front and centre. The wine is aiming at old world sensibility, but that effect is lessened by the very new world 15.6% level of alcohol. 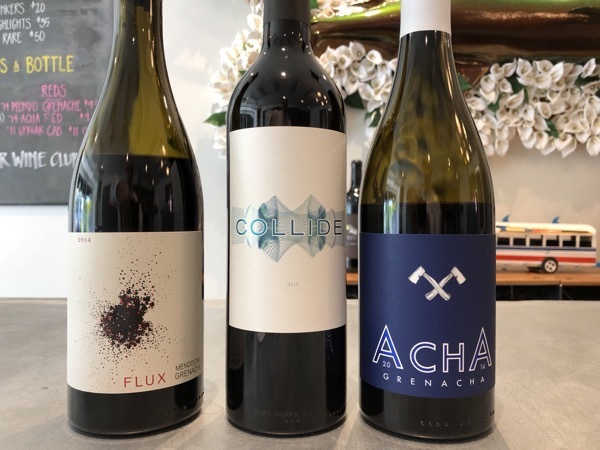 The third wine was the $28 Collide; a blend of 42% Petite Sirah, 30% Tempranillo, 25% Graciano, and 3% Carignan. The nose was an intense and appealing mix of cherry, oak, and leather. The initial impression in the mouth was of raspberry sweetness. The finish revealed tannins and blackberry. Here was a wine of complexity that I enjoyed. It represents great value for money. The fourth wine was the 2014 Acha Grenacha ($50); this is a blend of Grenache (34%) and Tempranillo (66%). The wine offered an intense fruity experience, heavy with ripe cherry and hints of wood. The wine again was fruit-forward with plum, raspberry, and big tannins. A good structure, but the balance felt just a little too much towards the fruit. My host told me that the root stock for the Tempranillo was from Dominio de Pingus, a Spanish vineyard that makes a cult wine which sells for over $800 a bottle. 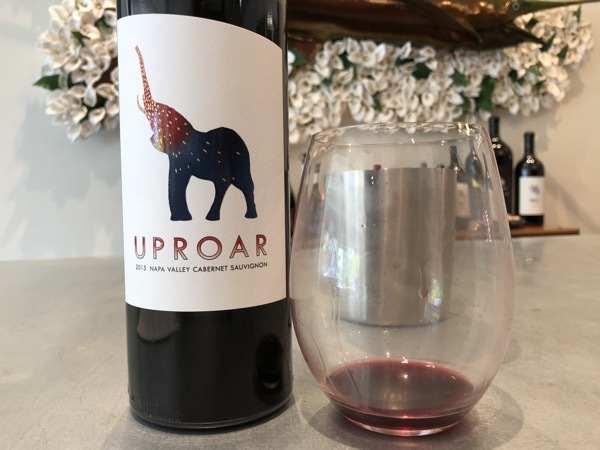 The next wine was the first Cabernet Sauvignon, the $65 2015 Uproar. Made from 100% Cabernet Sauvignon; the fruit sourced from Stagecoach, Coombsville, and Oakville. The nose was intense, with powerful aromas of plum and raspberry, and gentle wafts of cedar. There was a lot of fruit in the mouth with blackberry, cherry, and strawberry supported by moderate tannins. This is an excellent example of Napa Cab, which had I tasted without knowing the price, I would have expected to be closer to $100. The second Cab was the 2015 Coombsville Cabernet Sauvignon ($95). The nose was of wood and leather with subdued fruit: a mix of cherry and blackberry. The taste was rich, with more fruit than the bouquet had led me to expect. The tannins were laid back and expressed themselves as minerality. Despite the relative youth, this was a Cab that is drinkable right now. Next up was the 2014 Stagecoach Cabernet Sauvignon ($135). The nose was intense: blackberry and cedar; on a small patch of loam. The mouthfeel was lush and velvet; flavours of redcurrant and cassis. The lush fruit meant that I had to focus to find the tannins. This was an excellent expression of fruit forward Napa Cabernet Sauvignon. My notes from the tasting state that it was “the stand out”; that turned out not to be accurate, for there was one more wine. The last wine of the session, was the fourth Cab: The White Label Cabernet Sauvignon from Oakville Ranch. The 2013 vintage sells for $195. The nose was intense, with blackberry, cassis, and cedar. The flavours were of plum, blackcurrant, and oak. The tannins were, as with the previous couple of wines, well integrated, but far more noticeable. There was a long finish that caressed the tongue. The Stagecoach’s brief time as the best of the Mark Herold wines was over; this was the true stand out wine. 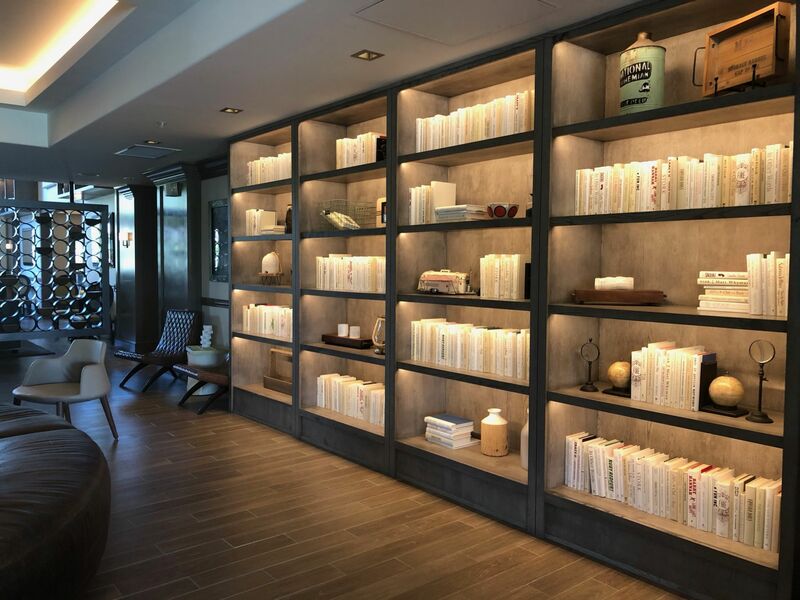 I enjoyed the tasting experience; the staff were welcoming and knowledgeable. The conversation covered not just wine, but the English Premier League. 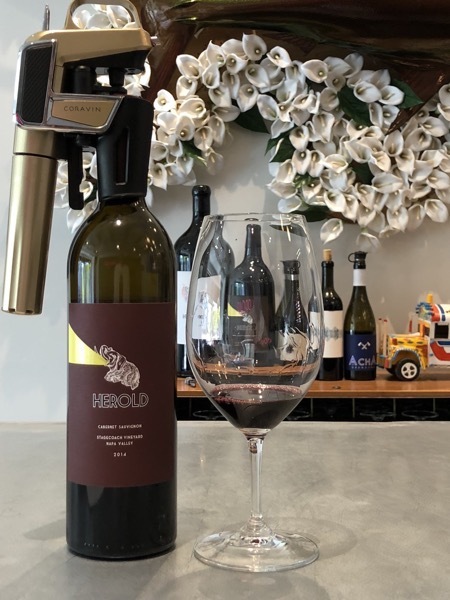 If you enjoy fruit-forward wines and are in Downtown Napa or visiting Oxbow, I can highly recommend a visit to Mark Herold wines; especially given the range of price, from $24 to $195. 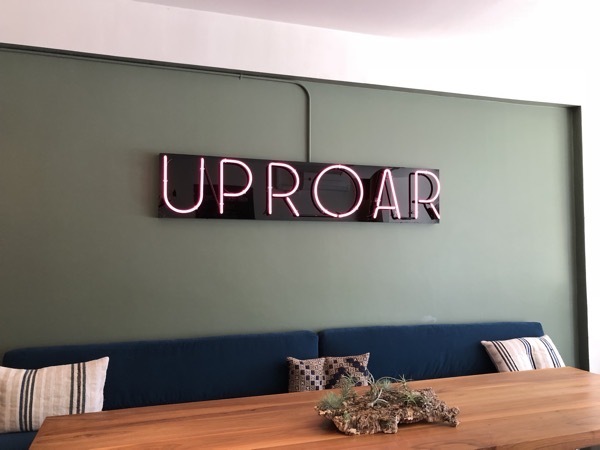 Unlike tasting rooms in Napa Valley itself, Mark Herold offers wine by the glass. That’s quite an array of wines from just about every point on the intensity spectrum! Sounds like you found a few that hit home for you, though. Every tasting is an adventure, right?